Project management, associated change management and ensuring fit with strategy have been a part of the work that we do for many years. Even going back to experience prior to consultancy reveals strong links to changes in the ways people work. Our skills are based on long term understanding of the need for industry, commerce and the public sector to recognise and respond to changes to their own markets. 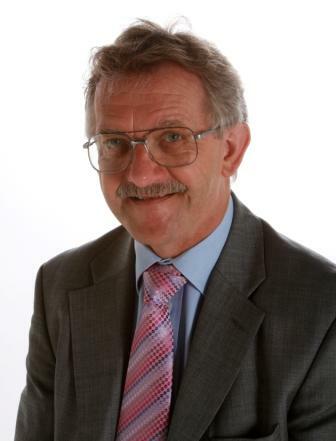 Barry Tuckwood is a Certified Management Consultant and a Chartered Civil and Structural Engineer. His background in engineering management brings a practical approach to solving business problems, ensuring that there is a clear focus on providing effective solutions. Before moving into management consultancy Barry completed an MBA at Strathclyde Business School, broadening his undertanding of general management. Since about 1994 he has worked with Durham Business School on their MBA and MA in Management Distance Learning programmes enabling him to keep up to date with managament developments. The National Programme funded by the Home Office was a major security initiative comprising a large number of related projects. Barry provided project management for four of these projects, and contributed to the overall programme on risk management and document management. The main complexities of the projects relate to the total number of stakeholders, over 800 nationally, involved within the public sector and the private sector delivery partners. Management of a national project funded by the Department of Communities and Local Government (DCLG) formerly the Office for the Deputy Prime Minister. Led by London Borough of Newham, other project partners were eight other Local Authorities and the Valuation Office Agency, with key property data company Intelligent Addressing, now part of Ordnance Survey. The project's objectives were to ensure that property data held locally was complete and accurate for revenue collection purposes and could be shared electronically internally and externally to ensure a match with the data held by Valuation Office Agency. This provided benefits to all internal functions for which accurate property data is important, as well as for external public sector organisations able to use this core information. Some 90% of public sector services need property address data for providing essential services including refuse collection, education, housing support, social care, street maintenance and pesty control. As well as programme management the role included provision of presentations and workshops at venues throughout England and Wales to enable the project to roll out nationally. Click here. In addition Barry was also invited to deliver workshops and presentations on Change Management, Business Case Development, and Information Management. Engaged by the Valuation Office Agency to conduct a review with them into the processes for obtaining and maintaining property data, especially where this changes over time. Opportunities for speeding up the process will result in better services to their customers. Engaged by CLG to carry out marketing support, with others, for the development of awareness and buy-in to more effective collection of data by CLG for housing statistics. This provides strategic benefits in areas including empty homes. 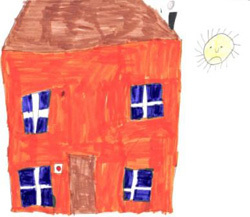 We developed and included material from a school competition on what empty homes means to them, which was used nationally for rolling out the programme. For ESEH click here. For a presentation on Empty Homes click here. Project managing the upgrade of a web site to better reflect the diverse needs of its stakeholders including organisation members, potential members, and those seeking general advice on continuing education. The site is under continuing development, at MBA World. Facilitation of Process Mapping, and associated project management consultancy for a programme developing a customer services centre for a proactive forward-looking borough council. This ensures that front and back-office functions are recognised, and that staff are more effectively utilised. The overall programme, planned to take two years, is expected to see enquiries dealt with much more speedily, with 70% being completed at the first call. Set up, managed and handed over a project for secure visitor management. Mentored staff on project management. Year 2000 Project Management support for a water company, with the objective of prioritising and implementing activities to minimise the risks of non-compliance of equipment essential to business processes and facilities management. Provided processes to enable Year 2000 compliance to be retained. Reviewed and recommended changes to management procedures to ensure that a specialist hardware and software systems supplier improved customer satisfaction while reducing their own costs. Providing direct support in preparing the strategy in three separate areas of the overall review. Supervising students on their dissertations on subjects from marketing and quality assurance to e-commerce, customer relationship management, and corporate governance. For many years acted as the Chief Examiner/Moderator as a Member of the Examination Panel for their qualification in Consulting.